As much as it makes sense to reference Japanese money at Japanese culture conventions, I’ve stuck to dogecoin for most of my game shows that deal with dollar values. The one I prominently use it with is Wheel of Fortune, but I’ve also used it for Millionaire and my variant of Press Your Luck. My original reasons for using dogecoin were twofold: the inherent goofiness of the cryptocurrency allows me to stand out from anyone who uses the yen, plus when I started using it in 2014, a million dogecoin was around $100-200, which meant I could throw out ridiculously large numbers but stay within my budgetary needs. That may need to change soon. While the strength of dogecoin has been on the rise for about four weeks, this weekend the price has skyrocketed. From mid-2014 to early this year, 1 dogecoin had been worth about 0.01 or 0.02 cents. (Yes, we are talking about 1-2% of one penny.) Over the past 24 hours, that same dogecoin has been trading as high as 0.78 cents. Just to put that in perspective, the weakest the yen has been during that same time frame is 0.80, although it’s currently trading around 0.89. With my next game show still a month away, I’ve made some adjustments to my games in the hope that there is a regression to the mean, but what happens if there isn’t a regression? What happens if dogecoin overtakes the yen in terms of purchasing power? To be honest, I’m not sure. Wheel is probably my favorite game to do at conventions within driving distance, and that will be the most adversely affected game. Do I go back into the archives and pull out Wheel values that haven’t been around since before most attendees were born? (This is a friendly reminder that Wheel has not been a daytime network show since 1991.) Do I start transitioning back to lecture panels and comedy? I don’t know, and hopefully I won’t have to. This entry was posted in The Craft and tagged doge, Doge Millionaire, Doge PYL, Doge Wheel of Fortune, dogecoin, MelloPanther Productions on December 17, 2017 by mellopanther. What Do You Do With Three Months Off? There used to be a panel that frequently ran in the Northeast/Ohio Valley convention circuit called “10 Conventions A Year” which explained how an attendee could budget and schedule their way to double-digit shows. Most of my circle of friends thought that there were better things to plan for (like, say, a trip to Japan) so we didn’t pay much attention to it. Fast forward to 2017, where I’ve been to 12 shows in less than 10 months. Now granted, all but 1 of those have been while working with Megaroad Toys and the compensation I get for that, combined with my lack of buying tendencies (except for prizes) and benefits at my day job have helped enable my excursions. I also haven’t been presenting at all of these conventions (mostly because I’ve missed submission deadlines; I’ve been fortunate to not be declined for a show I’ve applied to this year) which can keep incidentals down, but it also means I can’t scratch that particular itch. So what will happen when my next scheduled show after Blurriecon is in the middle of January? This entry was posted in The Craft and tagged MelloPanther Productions on October 16, 2017 by mellopanther. Every so often, I do improv, and sometimes that requires suggestions. In order to help the process and get as many good suggestions as possible, I’m turning to you out in Internet Land to help me out. I’ve put up a survey featuring games that will likely be used, as well as some example videos in case you weren’t sure what would work best. At each event, we’ll pick some of the good ones and use them. This entry was posted in The Craft and tagged Improv, MelloPanther Productions on October 8, 2017 by mellopanther. This entry was posted in Greensburg Anime Fest and tagged game shows, Greensburg Anime Fest, MelloPanther Productions, works in progress on August 30, 2017 by mellopanther. This entry was posted in Conventions, Tekko and tagged Event schedule, I Cast A Forward Pass, MelloPanther Productions, Most Unusual Mix, Tekko, WPTS on April 6, 2017 by mellopanther. So I decided that I want to do a Family Feud program for conventions, but it’s hard to get full families at a convention, so it’s getting renamed it to a much more common occurrence at conventions. Of course we can’t play the Feud without surveys and so I have two for you to fill out. Because I have game show friends who are necessarily into anime and vice versa(???) I’ve set up one survey for all comers and the other for anime fans. Try one or both; it’s up to you. If I can get 100 people quickly enough, I’ll send out two more surveys. The goal is to have 20 viable questions for two full matches, so I want to get through as many as possible without overwhelming you. You’ll also note at the bottom of each survey I ask for your e-mail. This is indeed for S&P purposes, but if you’d like, I’ll let you know when the next surveys are out. The links are below and I hope to update them when the next surveys go out. Thanks a bunch! This entry was posted in The Craft and tagged Fandom Feud, MelloPanther Productions, works in progress on March 4, 2017 by mellopanther. Hello friends. Did I mention that I have major issues with post-con blues? Well you can pair that a propensity to be sick and you’ve basically described the past 6 months or so. I actually feel somewhat fortunate that I wasn’t able to get into Katsucon as a panelist because I would’ve just been a total wreck. What wasn’t a total wreck were my first three game shows of 2017. Setsucon hosted Name That Tune and Wheel of Fortune while Anime Mini saw the initial foray of Doge! Much Press Very Luck. All three were successful although opinions may differ on the latter. Next up is Tekko, and it’ll be busy both on and off the floor. Right now the only thing I can confirm is that Saturday morning will see the return of the Most Unusual Mix to the WPTS airwaves as part of the new Alumni Show. The rest is up in the air. 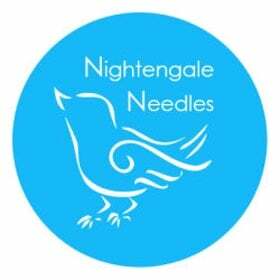 That being said, I can’t wait for yeas or nays, I’ve been busy getting a new friend of the company in Nightengale Needles and undertaking some super big projects that you will be hearing about very soon. Watch this space. This entry was posted in Anime Mini, Conventions, Setsucon, Tekko and tagged Anime Mini, Con report, Doge PYL, Doge Wheel of Fortune, MelloPanther Productions, Name That Tune, Nightengale Needles, Setsucon, Tekko, WPTS on February 23, 2017 by mellopanther.